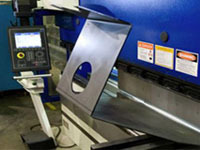 Jevny could offer a wide range of metal fabricating services to meet its customers specific needs including: Deep Drawing,Punch&Stamp,Forming&Bending,Laser Cutting,Hardware Insertion,Die Casting,Welding etc.We can handle a wide range of material grades, thickness, and sizes.also povide wide array of product finishing services ensures quality appearance. With us, you can get the most cost effective and innovative metal fabricating services to obtain a competitive edge over others. 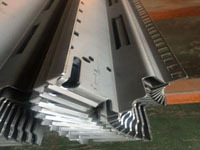 SHEET METAL Sheet metal produces durable, end-use metal parts that are fabricated to your specifications. Our custom sheet metal services offer a cost-effective and on-demand solution for your manufacturing needs. The materials utilized: Carbon Steel, Stainless Steel, Galvanized, Aluminium, Beryllium Copper, Nickel Alloys, Brass, Copper etc. Finishes for sheet metal parts Anodizing, Painting, Passivating, Powder Coating, Plating and so on. LASER CUTTING Our state-of-the-art dual-laser Bystronic flexible manufacturing system performs high-tolerance piercing and cutting on a wide variety of material types and thicknesses (up to 36,000 lbs unattended). Our advanced laser cutting services are ideal for customers wanting quick turn prototypes which, once approved, we can transition seamlessly to full production. DEEP DRAWING Jevny is a leading manufacturer of deep drawn parts, including cylinders, enclosures and irregular shapes. We maintain a vertically-integrated facility with on-site engineering, designing, and prototyping services. Over the last 30 years, we've earned a reputation for producing highly complex, yet cost-effective, deep drawn parts. PUNCH&STAMP:Jevny’s punches provide significant throughput with high accuracy and quality. With seven punches available, including five with auto load/unload capability, We can achieve rapid cycle times. With a capacity of up to 30 tons and sheet sizes of up to 50 x 100 inches, Jevny can also handle a wide variety of part dimensions and material thicknesses. Our 60-ton and 80-ton stamping presses complement our punches with capacity for high-volume jobs. FORMING&BENDING:Our forming and bending department is equipped with the latest technology.Twelve CNC and multi-axis press brakes, including a robotic press brake, enables us to bend and form parts to the most exacting specifications with virtually no waste. HARDWARE INSERTION Jevny's hardware insertion capabilities feature massive capacity, including 33 Haeger insertion presses, most of which are equipped with automated feeds to increase efficiency. DIE CASTING is suitable for applications that require good surface finish and dimensional consistency. The main die casting alloys are: zinc, aluminium, copper, magnesium, lead, and tin etc. Manufacture of parts using die casting is relatively simple, which keeps the incremental cost per item low. It is especially suited for a large quantity of small to medium sized castings. WELDING From spot welding to arc welding, our team of experts utilizes state-of-the-art equipment to create precision solutions for even the most complex requirements. Discover the difference that can be made when receiving assistance from the industry’s finest welders.